2013-present Member, Bar-Ilan institute of Nanotechnology and Advanced Materials. 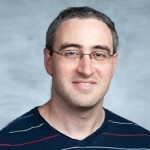 2012-present Senior Lecturer (Assistant Professor), Faculty of Engineering, Bar-Ilan University. 2007-2012 Postdoctoral fellow (2007-2011) and Research Associate (2012), Stanford University, Department of Bioengineering, Stephen Quake’s lab. 2006-2007 Visiting student (2006) and postdoctoral fellow (2007), Weizmann Institute of Science, Department of molecular biology, Uri Alon’s group. studying cancer biology using single cell genomics and next generation sequencing. We are using high throughput single cell technologies such as microfluidic single cell qPCR and RNA sequencing to search for new targeted therapies for cancer. 1. Shaheen Sikandar, Angera Kuo, Tomer Kalisky, Shang Cai, Maider Zabala, Robert Hsieh, Ferenc Scheeren, Neethan Lobo, Sopheak Sim, Dalong Qian, Frederick Dirbas, George Somlo, Stephen Quake, and Michael Clarke, “Role of epithelial to mesenchymal transition associated genes in mammary gland regeneration and breast tumorigenesis”, Nature Communications. 2017 Nov 21; 8(1):1669. doi: 10.1038/s41467-017-01666-2. 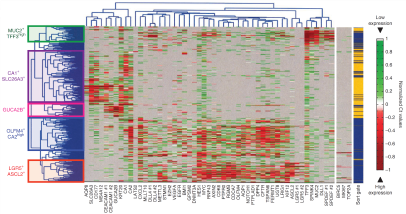 Studying cancer biology using single cell genomics and next generation sequencing.